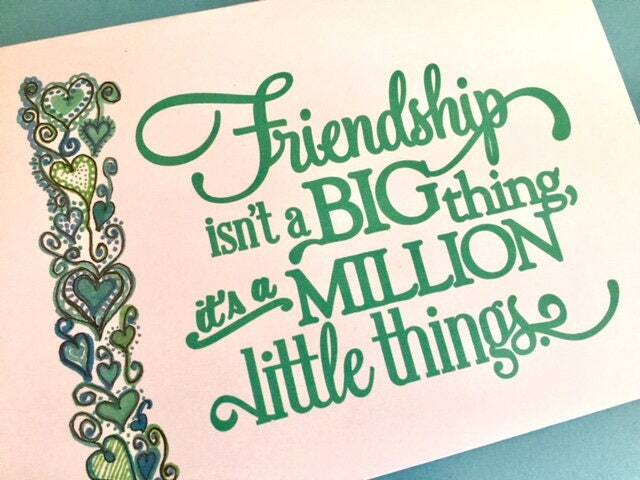 This friendship 5 x 7 greeting card can also be framed for a keepsake gift. This bff best friend card, my original design, is modern with a touch of chic... This 5 x 7 card/print has been professionally printed on 110# cardstock, comes blank inside with matching envelope. 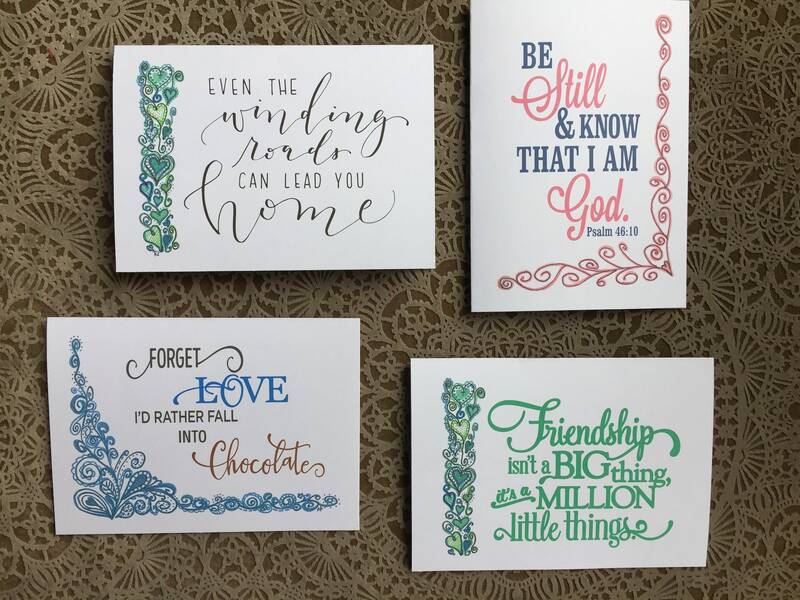 I personally painted and then printed the original design in greens and blues and then printed the text on every card. One stop shopping for all those on your list: (you can purchase 1 each of many different card designs, 2,3, 4 or more and we will refund the shipping overages if etsy charges you too much for shipping). We can fit 8-10 cards in one small priority box. This listing is for 1 5 x 7 cards (which can also be framed) for a keepsake. Your purchase will be carefully packaged and shipped in the small priority mail box; TURNAROUND TIME, from the time you purchase until we ship is about 5-7 business days~ allow 3 more days for shipping, via priority mail to reach you! Thanks!